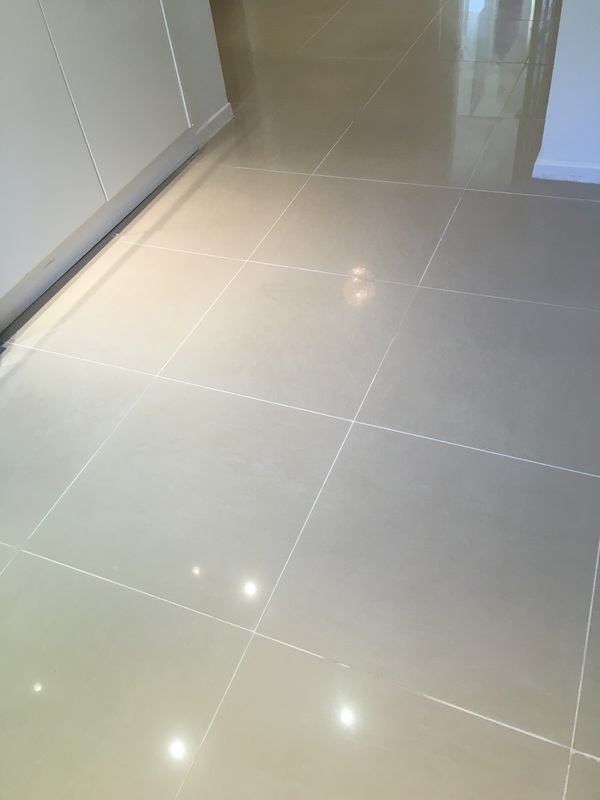 This floor was tiled with large format beige porcelain tiles with a white grout which as you can appreciate can soon become dirty. 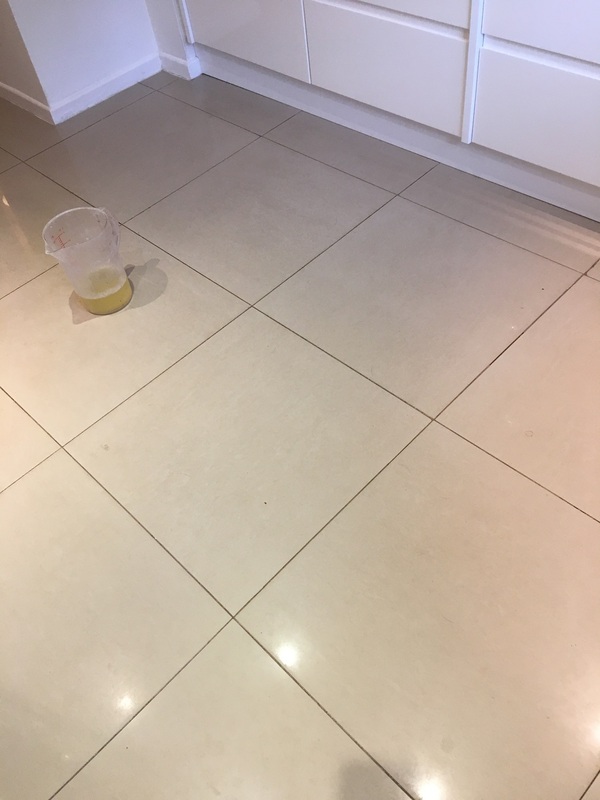 Now you might be thinking that this post is about cleaning grout which would make sense as I’m normally asked to clean grout, however on this occasion the customer wanted it removing completely and then re-grouting in a darker colour. Grout re-colouring grout is easily done using a Tile Doctor Grout Colourant which comes in ten different colours but in this case there was an amount of cracked and missing grout which needed replacing anyway. The house was in the surrey village of Cobham which dates back to Roman times and is now known for being an affluent place to live with many large houses. Removing existing grout is a messy job that can create a lot of dust so before starting work I positioned my vacuum cleaner adjacent to the tile so any dust would be extracted away. There are a number of ways to remove grout but I find the best way is to use a special oscillating tool which makes quick work of the job. Fortunately due to the large format porcelain tiles with tight grout lines I was able to completely remove all the grout within a few hours. After a clean up I was ready to mix the new grey grout and start rerouting the tiles. I always use expanding grout for this as it lasts longer and won’t shrink like cheaper products which can rack as a house moves slightly. Once mixed the new grout was pushed into the grout lines with a rubber float and the excess polished off. 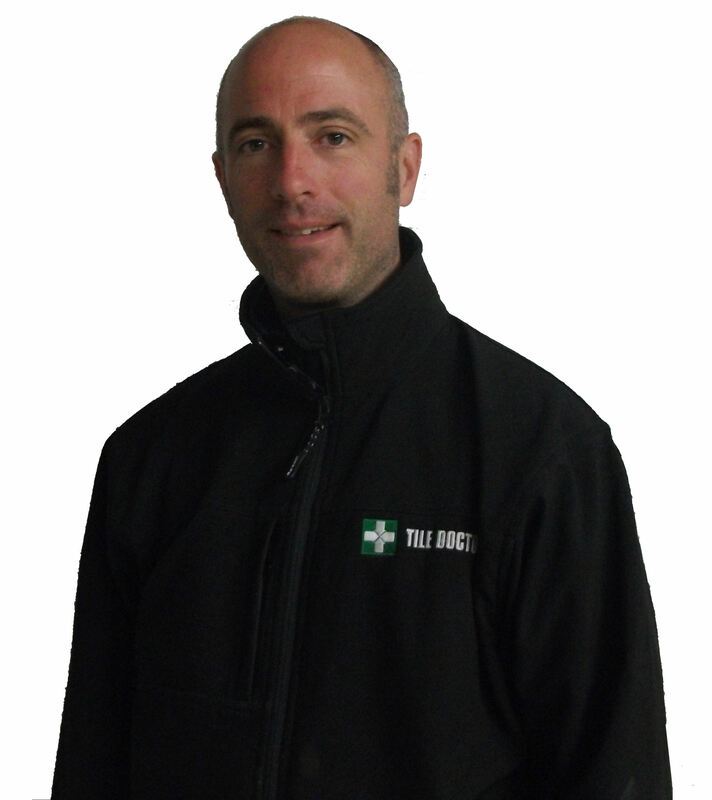 I managed to complete the job in a day and before leaving I have the floor a buff with a soft white pad. The Grout tiled hallway floor now looks amazing.